The Liberty Top Ring 1-1/4 in. Venetian Bronze Knob is made from die cast zinc for durability with a beautiful Venetian bronze finish. The round knob features subtle detailing for a classic look, and it comes with instructions and hardware for simple installation. This Liberty Calligraphy I 1-1/4 inch Venetian Bronze with Copper Highlights Insert Knob is the perfect way to add a touch of style to your kitchen or bathroom cabinetry. This knob will give any room a brand new look and feel. The knob installs easily with the hardware included. 1-1/4 in. Top Ring Round Knob The Liberty Top Ring 1-1/4 in. 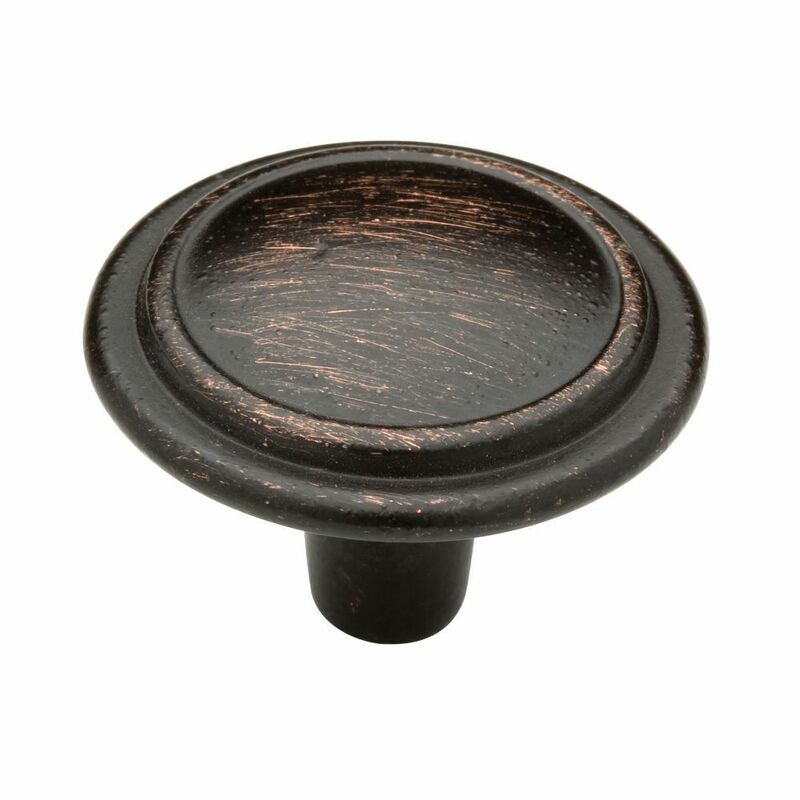 Venetian Bronze Knob is made from die cast zinc for durability with a beautiful Venetian bronze finish. The round knob features subtle detailing for a classic look, and it comes with instructions and hardware for simple installation. 1-1/4 in. Top Ring Round Knob is rated 4.7 out of 5 by 29. Rated 4 out of 5 by Kathy from Looks great on our white cabinets.... Looks great on our white cabinets.